Join the WORLD’S LARGEST EDUCATIONAL REFORM, teaching in the UAE! The United Arab Emirates has quickly become one of the standout holiday destinations with tons of things to do. Shopping, sport and leisure, fine dining, beautiful scenery and a rich history, take your pick of what you want to do and enjoy! 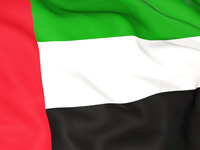 UAE is a cultural melting pot with expats making up 85% of the population. There is a large number of schools to choose from so the Emirates has become a very attractive proposition, especially because the option to further your professional development is available! ** FREE Working Visa (only for you). ** A 2 year renewable contract. Well… There’s Scuba diving but then there’s camel racing along the coast and History exploration that gives Hollywood a run for its money. If you want to teach in tranquility and go on less travelled adventures, exploring the Arabian Gulf’s rich past, this is the place to be! To apply and land a job for this reform project you MUST ATTEND AN INTERVIEW IN PERSON. There will be NO SKYPE INTERVIEWS. The salary is worth making the effort to prove yourself! This may be a completely new challenge for you, so we have a comprehensive VIP webinar where we share all the TIPS & TRICKS to secure your position for the next academic year. DISCLAIMER: Due to the high number of applicants, I will only be able to contact successful candidates. APPLY NOW to see whether you are successful, and you will have access to our VIP webinar, where we will share TIPS & TRICKS on how to secure your job in the UAE! Contact Mohamed now on +44 (0) 203 455 0195 or email me at Mo@SeekTeachers.com for further information. Please Note: The job description and requirements above have come directly from the employer and not from SeekTeachers. This is an overseas position with different cultural beliefs and a segregated learning policy and as such it satisfies the criteria of a genuine requirement for the post, under schedule 9 of the Equality Act 2010.